Christians act nothing like Christ, right? Why? Over and over again the Bible shows us that there is a true gospel and a false gospel. Paul talks about this in Galations, but the first allusion to the 2 gospels was in the Garden of Eden. We’ll look to see how this true & false gospel relate back to the Tree of Life (TOL) and the Tree of the Knowledge of Good & Evil (TKGE). – Gal. 1:6-7 – I am astonished that you are so quickly deserting the one who called you to live in the grace of Christ and are turning to a different gospel — which is really no gospel at all. Evidently some people are throwing you into confusion and are trying to pervert the gospel of Christ. One gospel is based on religion, or man’s attempt to get to God; it’s based on how well you can follow rules. This is the basis for most every religion in the world. It asks the question: How am I going to become godly? The other gospel is based on a relationship with God; you fall in love with Him, so you draw close to Him. How am I going to become godly? – Gen. 2:8-9 – The Lord God planted a garden toward the east, in Eden; and there He placed the man whom He had formed. Out of the ground the Lord God caused to grow every tree that is pleasing to the sight and good for food; the tree of life also in the midst of the garden, and the tree of the knowledge of good and evil. 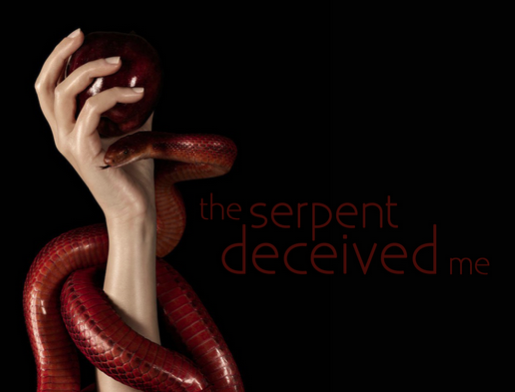 Satan appealed to Eve’s desire to be godly. He said, eat this fruit and it will make you like God. Once they ate from the TKGE God threw them out of Eden so they would not eat from the TOL. Some of us have already eaten from Jesus, the TOL, but we are currently eating from the TKGE. This is not good. Don’t keep eating or keep living in deception; Salvation is in Christ alone. … “When the woman saw that the fruit of the tree was good for food and pleasing to the eye, and also desirable for gaining wisdom, she took some and ate it. She also gave some to her husband, who was with her, and he ate it. Then the eyes of both of them were opened, and they realized they were naked; so they sewed fig leaves together and made coverings for themselves. Religion can give us a knowledge of what is good and what is wrong. It can make us look righteous on the outside, and make us look like we are wise, but it always makes you naked. Every person has fallen short of the glory of God. We all sin. If you trust in your own ability of knowing good vs evil, you will still fall short. You cannot save yourself, nor can this knowledge always keep you from sinning. Partaking of the TKGE will always result in your nakedness, shame, and failure. What are the two different gospels? 1) One focuses on what you do: You aren’t thinking about reading your Bible because you love the Bible – you’re thinking about how many chapters you’ve read. You think you have it together because you haven’t missed a Sunday all year, or you’ve checked all the boxes on the spiritual to do list. One focuses on what Jesus does: You aren’t focused on how much you read, but on how much Jesus you can find in what you’ve read. You aren’t applauding your scheduling, but all that Jesus has done in your life and around you during the year. – John 5:39-40 – You study the Scriptures diligently because you think that in them you have eternal life. These are the very Scriptures that testify about me, yet you refuse to come to me to have life. 2) One focuses on getting God’s approval: This is the inherent belief that God is mad at you. There was a study done on how different regions see God, and the South predominantly believed that God was mad at them or that He was hard to please. This thinking says, I better not clap too loud today cause God knows I’m a hypocrite and didn’t act right this weekend. You think you have to memorize the book of Proverbs to have God’s approval. You treat sinners as beneath you. One focuses on receiving God’s love: You aren’t focused on gaining His approval; you are resting in His approval. You may sin, but God still loves you. He doesn’t like the sin, but the sin didn’t change His love for you. You show sinners God’s love, right where they are, without condemnation about anything. Love is Alpha and Omega. – Rom. 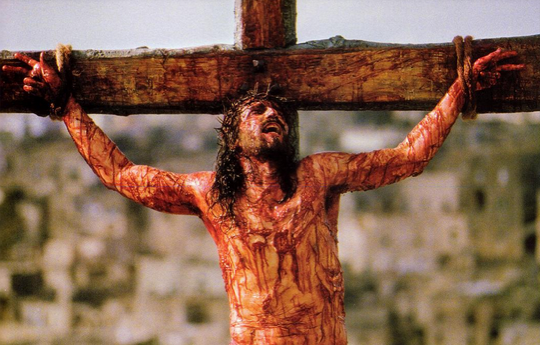 5:8 – While we were still sinners, Christ died for us. We don’t get our act together to get to God; we go to God to get our act together. Within His love there is no condemnation; only conviction that raises us up from our sin, and shows us how to love on the same level that He does. 3) One focuses on external duty: I have to do this or do that. One focuses on internal desire: I want to do this or do that. The Lord sees the heart and knows which tree you are eating from. He does not want to punish you. He wants you to choose to eat from the TOL. – Gen. 3:24 – guard the way to the tree of life – Rev. 2:7 – To the one who is victorious, I will give the right to eat from the tree of life, which is in the paradise of God. – John 14:6 – Jesus answered, I am the way and the truth and the life. Jesus, the Tree of Life. I love the paradox of Christianity. Jesus is the Tree of Life. We need to partake of Him and His grace. We should not partake of the AntiChrist (TKGE/religion) that says 1)I know Jesus, 2)I know what He says is good and bad, and 3)I can follow those rules to save myself. 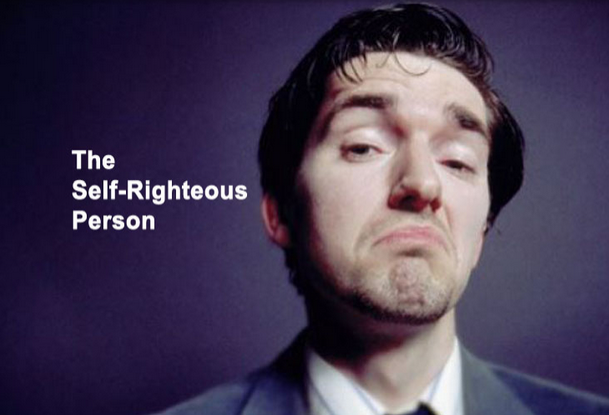 Self-Righteousness cannot save you. Trying to obey the law cannot save you. – Eph. 2:8-9 – For by grace you have been saved through faith; and that not of yourselves, it is the gift of God; not as a result of works, so that no one may boast. – James 2:10 – For whoever keeps the whole law and yet stumbles at just one point is guilty of breaking all of it. – 1 John 5:3,12 – In fact, this is love for God: to keep his commands. And his commands are not burdensome… Whoever has the Son has life; whoever does not have the Son of God does not have life. His commands are burdensome if you are eating from the Tree of the Knowledge of Good & Evil (TKGE). It is burdensome to take the whole weight of the law on yourself and think that you can carry it by your own power. It’s only when we eat from the Tree of Life (TOL), the grace of Jesus, that the burden of the law is lifted and we can live in the freedom of His Spirit. We can read this from either tree: TKGE: If you love me, you will obey me and show me that you are a good person. TKGE reads it backwards; they make it say: Keep my commands to prove your love. TOL: Just love me. Just love me, and you will automatically do the things that show me love. You’ll want to do the things.